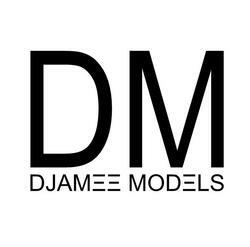 How to join Djamee Models & Talent? Send us your best snapshot and the reason WHY ​Djamee should send you to castings and auditions. We love natural non edited snapshots which show your skin; eyes colors; hair texture; something that we can make a clear decision from. Please use the contact form. La perfection n'existe pas dans ce monde, mais être génial est possible. - Perfection is not of this world, but greatness is. - La perfección no existe en este mundo, pero puede ser grande - Djamee. Djamee Management, A Distinction In Style, started in 2001 headed by Rome the first model Djamee sent out for magazine editorals; clothing lines advertising; TV and print ad campaigns and New York Mercedes Benz Fashion Week runway and presentation castings. Djamee, designed and launched Djamee.com in March 2010. Either you are looking for a rare fashion model; a special talent; an industry service and entertainment; we strive everyday to bring you quality innovative MULTI MEDIA services and unique SOLUTIONS for your next project. THANK YOU. On djamee.com my intention as it's founder is to offer you an unique experience online getting you the results you want with irrefutable proofs. Being positive and spreading uplifting news is a choice; and I made that choice in March 2010 when I first published Djamee.com. Please if you LIKE to show your support to my vision; make sure you hit the LIKE button bellow. The best way to reach us is via email.